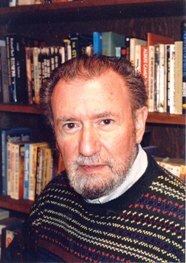 His publications include: Purity in Print: Book Censorship in America from the Gilded Age to the Computer Age (1968; 2nd edition with two new chapters, 2002); He was the Asst. editor of Notable American Women, 1600-1950 (3 vols., 1971); co-authored with Stephen Nissenbaum, Salem Possessed: The Social Origins of Witchcraft (1974); Urban Masses and Moral Order in America, 1820-1920 (1978); By the Bomb's Early Light: American Thought and Culture at the Dawn of the Atomic Age (1985); When Time Shall Be No More: Prophecy Belief in Modern American Culture (1992); Fallout: A Historian Reflects on America's Half-Century Encounter With Nuclear Weapons (1998). He was the editor-in-chief of The Oxford Companion to United States History (2001). Active in the Organization of American Historians, he has chaired its Program Committee (1987-88); served on its Nominating Council (1992-94) and Executive Board (1995-98) and on the editorial board of the Journal of American History (1980-83). He served on the national advisory board of the public television series The American Experience and edits the Studies in American Thought and Culture series for the University of Wisconsin Press (1984-94, 2002--). His service on prize committees includes the John Hope Franklin Prize of the American Studies Association, the Phi Beta Kappa Ralph Waldo Emerson Prize, and the ABC-Clio Award Committee of the Organization of American Historians. Boyer chaired the Wisconsin Humanities Council in 2004-06. Biographical entries appear in Who's Who in American Education and Contemporary Authors. Family stories were my first introduction to history-not articles or books, but lived experience: a great-uncle killed at Antietam; grandmothers' tales of late-nineteenth-century Ohio farm life; my father's account of losing his job during World War I for refusing to salute the flag when co-workers demanded that he do so. My paternal grandfather was a great repository of stories about the past, including his boyhood memories of President Garfield's assassination in 1881. My future perspective as a historian was influenced, too, by my very conservative religious upbringing. The Brethren in Christ church, an offshoot of the Mennonite church, took seriously the biblical injunction "Be not conformed to this world." The members did not vote, generally refused military service, and dressed very plainly-no neckties for the men; head coverings, cape dresses, and dark stockings for the women. They avoided the movies and other worldly amusements, and viewed the secular power of the state with profound skepticism. I'm no longer a part of that subculture (which in any event is very different today), but its influence has shaped my life and work. A grade-school teacher in Dayton, Ohio taught me that history is something people can feel passionate about. A southerner, she informed us in no uncertain terms: "If you get nothing else out of this class, just remember that slavery was NOT the cause of the Civil War." But I can't claim that the study of history initially gripped me very deeply. My copy of David Saville Muzzey's A History of Our Country, assigned in a high-school class, is full of my scribbled drawings and witticisms (e.g., "In Case of Fire, throw this in"). The teacher called him "Fuzzy Muzzey," signaling us that even textbook writers need not be viewed with total reverence. Now a textbook author myself, I appreciate Muzzey a little more. He writes in his preface: "Boys and girls have sometimes said to me that they have 'had' American history, as if it were measles or chicken pox, which they could have and get over and be henceforth immune from. … Do not for a moment think that you are `going over' American history again in high school in order to add a few more dates and names to your memory. You are studying a new and fresh subject, not because American history has changed, but because you have changed. ... You are getting new outlooks on life,--new ambitions, new enthusiasms, new judgments of people and events. Life broadens and deepens for you. So history, which is the record of former people's ambitions and enthusiasms, comes to have a new meaning for you." After high school I enrolled at Upland College in California, a small denominational school that has since closed. Wendell Harmon, who had written his Ph.D. thesis at UCLA on the Prohibition movement in California, taught U.S. history at Upland. Wendell had a skeptical turn of mind and a dry sense of humor. His classes, including a seminar on American Transcendentalism, jolted me into realizing that studying history could be intellectually engaging, even fun. In June 1955, preparing to leave for two years of voluntary service in Europe with the Mennonite Central Committee, I asked Wendell for reading suggestions. His list included Richard Hofstadter's The American Political Tradition (1948). I devoured the book, writing on the flyleaf words that were new to me (salient, milieu, inchoate, sinecure, ubiquitous). Hofstadter's cool-eyed revisionist look at America's political heroes was eye-opening. There is no canonical version of history-all is up for grabs! My copy of this 95-cent Vintage paperback, now falling apart, is still in my library.